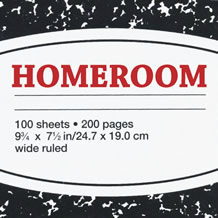 Homeroom is the place where students begin their day at the Fort. It's not just a place to take attendance and watch the morning news; your homeroom is your home base. Have a question? Need help learning how to open your locker? Not sure the best way to study for the test coming up in World Cultures? Ask your homeroom teacher or your fellow homeroom classmates! You will meet each morning with your homeroom, sit at the same lunch table, participate in activities together, and make friends. Homeroom is a place for questions and community. And above all, homeroom members work together throughout the year to help each other succeed. Topics which are covered in Homeroom?